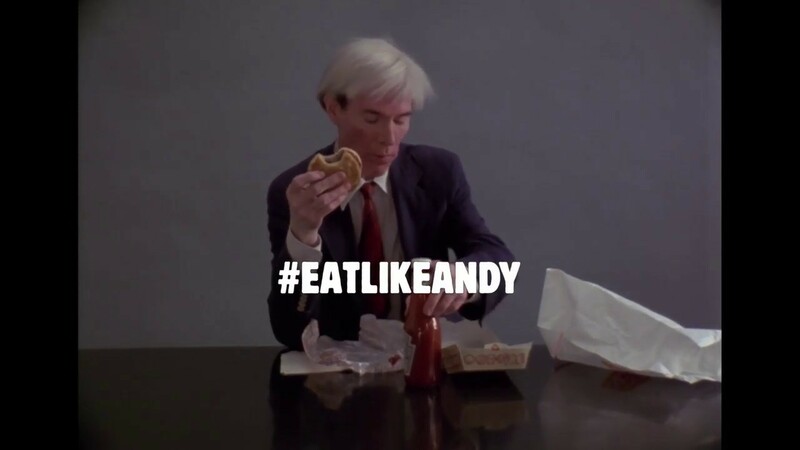 Few commercials in recent memory have provoked as polarized a reaction as Burger King's #EatLikeAndy spot, from David Miami and MullenLowe, which aired during the fourth quarter of Sunday's Super Bowl. Some have called it genius; others have labeled it garbage. 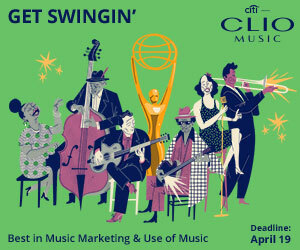 It was a runner-up for the Super Clio award (in which a jury of top ad creatives picks the Super Bowl's best ad) and it ranked No. 2 on Adweek's list of the game's top spots. Yet it finished dead last, at No. 58, on the USA Today Ad Meter (based on the votes of tens of thousands of registered consumers). Curious to hear how the postmortem was going down at BK headquarters, we spoke on Tuesday afternoon with Fernando Machado, the chain's global chief marketing officer. He told us the brand remained united in its support for the ad, and that the spot was performing very much as expected. Check out our Q&A below, in which we asked Machado what the goal of the spot was, and how well it delivered on that goal. Muse: Well, it's been an interesting couple of days! 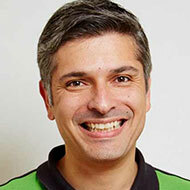 Fernando Machado: We are super excited here, to be honest with you. The support we've gotten internally has been amazing. What we did was very different, and it requires you to be aligned—even when people don't agree—and to believe and trust in what you're trying to do. The people internally were really able to see the rationale. The story made total sense, and the way it unfolded was very similar to the way we thought it would unfold. So you expected this extreme split reaction? Some people loved it. A lot of people really didn't like it. We knew what we were doing would be considered very different. From experience, every time you do something very different, there will be people who love it and there will be people who are not going to like it. I remember reading an interview with Hegarty [BBH founder Sir John Hegarty]. He was talking about awards, and he said many times his favorite campaigns don't win awards because they divide the jury. There was a bit of that here. With that said, even if you disliked it, it doesn't offend you. It's not like we put forth a view that's political or that confronts someone's belief system. It's just Andy Warhol eating a burger. So, yeah, "I don't like it." "I thought it was boring." But then people just move on. And the people who liked it—I mean, it introduced Andy Warhol to a new generation of people. My inbox is full of people saying, "This is amazing." "I was able to connect with my son about Andy Warhol. He didn't know who Andy Warhol was." "This sparked a conversation for 15 minutes during the Super Bowl around the democratization of art." We knew it would create talkability. We chose the Super Bowl because we thought it would have an even greater impact in a cluttered environment. It's like the silent assassin. It's a mix of ASMR and unboxing, done in 1982! That's what it is. There's no sound. It really cuts through big time. And the intention is: The Whopper is America's favorite burger. It's a very iconic product. Let's have someone who is super iconic eating it, in an authentic way. Meaning, we didn't pay Andy Warhol to eat the Whopper. Today I can show up with a truck full of money and buy a celebrity to interact with my product. Lots of brands do that, and I'm not criticizing what they do. But in our case, we know this thing needs to be more real, more authentic. So when we stumbled on this work, it was something we felt very excited and strongly about. That's why we went for it. But is it authentic? Didn't it bother you that people caught on to the story that Warhol actually wanted McDonald's instead? Look, we are used to people trying to spin the story and create negative headlines. It happens to us almost every week. The story was actually that Andy, who was a fanatic of iconic design, probably mentioned during the interview that he liked the design from McDonald's. This is 1982—I don't even know what design McDonald's and Burger King had back then. But he never said he prefers McDonald's, or that he prefers the sandwich from the competitor over ours. He just wanted to make something iconic, and he went for the Whopper. If he really felt strongly about my competitor, I bet it's not that difficult to find a McDonald's store in the U.S. and go buy the product! The ad is very different. Do you think it really connected with people? I read a lot of people saying, "Oh, this is not going to connect with the average burger eater." I don't know what image of a burger eater people have in their minds, but if they went to a Burger King restaurant, they would realize it's pretty democratic. You find all sorts of people. Which by the way is a great link to the work Andy Warhol did. He had so many quotes about Coca-Cola being the same product no matter where you live or how much money you have—and how some products, like the Whopper or Coke, are equalizers for society. You can get a Whopper your way. If you have more money, you don't get a better one, right? We're running the analysis now. But when you look at, for example, Instagram—which tends to be a young platform for social media—if you look at the mentions of some of the celebrities who were on the Super Bowl—for example, if I take Steve Carell, Jason Bateman, Sarah Jessica Parker and Charlie Sheen—if I add up all of them together, Andy Warhol is bigger than that in terms of mentions. No wonder my inbox is full of videos of dogs with the wig on that came in the Mystery Box, eating a Whopper. Kids with the wig on, playing Andy Warhol. The Mystery Box was an invitation to people to engage with the content. And people are engaging. It was to get people talking. And we know that when people talk, they grab their phone and search, or they go on Twitter—and we were there to interact with them, and the masses were there to interact with them. I don't know if you saw the curve of search for brands around the Super Bowl. Burger King makes all the other brands look like a flat line. It was a boom in terms of search. We were one of the most mentioned brands on Twitter. We were third after Pepsi, which had the halftime show, and Bud Light, which had one of the most amazing ads—the Game of Thrones one. We were No. 3. Some people were sharing the love, some were sharing that they were confused, some were sharing that they didn't like it. And the sentiment was shifting more and more to positive. I don't have the final numbers yet, but it was much more positive than negative. Basically, positive to neutral. Did it bother you that the spot finished last in the USA Today ranking? Isn't that a sign that a huge amount of the reaction was negative? I would have died to have done that. It gives me chills to this day. So, it doesn't worry me as much. The conversation started more negative and then shifted to be more positive, after people had voted on the Ad Meter. I think our spot was different, in that it required more time for people to debate online to figure out a point of view. And I bet you that five years from now, people will still remember the spot. It will keep popping on Instagram forever. What other metrics do you have? We are still compiling the results. We work for 3G here—I have the analytics for everything. We have more than 2 billion impressions in the U.S. Let me put it in a very pessimistic way: It didn't hurt sales. We did well on Sunday and Monday. I'm looking at sales data for Sunday and Monday versus the last eight years of Super Bowls. I can't mention the numbers yet, but we're happy. By the way, I think it's funny when people say, "It doesn't make me feel like eating a Whopper." Well, when I watched "It's a Tide Ad," it didn't make me feel like going and doing my laundry either! It really depends on what your objective is. The objective was not sales. If the objective had been sales, I would have gone with a promotion. It was really to connect in a different way with people, especially with a younger generation, and to elevate the iconic nature of the brand and of the Whopper sandwich. I would prefer to be in the bottom three of the Ad Meter, or the top three, than be in the middle, you know? At least people have an opinion. At least I'm relevant! I don't believe any publicity is good publicity—that's not the mentality here. We just know that despite ranking at the bottom of the Ad Meter—which I'll probably include in the case study for awards, because I think it's hilarious!—people actually like the spot. We see the sentiment. And the people who like it, love it. And the people who dislike it aren't going to not come to Burger King because we aired an Andy Warhol spot on the Super Bowl. In a category that's super competitive like QSR/fast-food, where on every corner you have four or five chains competing, making your brand a little bit more top of mind, a little bit more talked about, that helps.